What are typical tasks for a Hadoop developer? How much java coding is involved in hadoop development job? What day to day activities does a hadoop developer do? 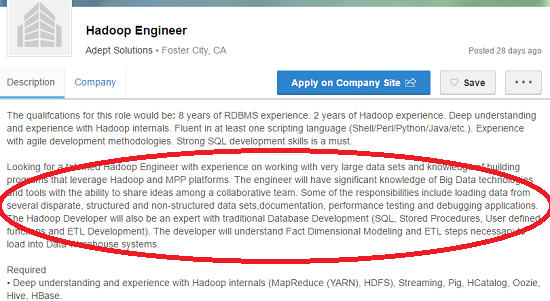 Or what does a Hadoop Developer do on a daily basis? 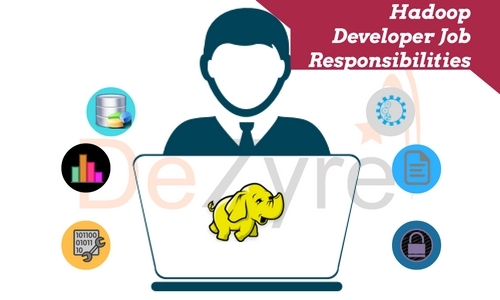 DeZyre industry experts say that Hadoop Developer Job role is similar to a technical software programmer’s job role, it is not necessarily easy, but if you are smart and have willingness to learn hadoop then of course you can keep up with Hadoop developer job responsibilities. In our earlier post, we have listed out the various job roles available for hadoop professionals : Hadoop Developer, Hadoop Administrator, Hadoop Architect, Hadoop Tester and Data Scientist. Many DeZyre students looking to make transition into big data hadoop careers often want to know in detail about the hadoop developer job roles and responsibilities before they enrol for a hadoop training. Here’s a blog post that answers the question and details out the job responsibilities of a hadoop developer. Who is a Hadoop Developer? If you would like more information about Big Data and Hadoop Certification, please click the orange "Request Info" button on top of this page. The responsibilities of a hadoop developer depend on the position in the organization and the big data problem at hand. Some hadoop developer might be writing complex hadoop MapReduce program, some might be involved into writing only pig scripts and hive queries and running workflows and scheduling hadoop jobs using Oozie. The main responsibility of a hadoop developer is to take ownership of data because unless a hadoop developer is familiar with data, he/she cannot find what meaningful insights are hidden inside it. The better a hadoop developer knows the data, the better they know what kind of results are possible with that amount of data. Concisely, a hadoop developer plays with the data, transforms it, decodes it and ensure that it is not destroyed. Most of the hadoop developers receive unstructured data through flume or structured data through RDBMS and perform data cleaning using various tools in the hadoop ecosystem. After data cleaning, hadoop developers write a report or create visualizations for the data using BI tools. A hadoop developer’s job role and responsibilities depends on their position in the organization and on how they roll all the hadoop components together to analyse data and glean meaningful insights from it. We would love to hear about the experiences of Hadoop developers out there. What does you day-to-day job involve? What does a Hadoop developer do on a daily basis? Install, configure and maintain enterprise hadoop environment. Loading data from different datasets and deciding on which file format is efficient for a task. Hadoop developers source large volumes of data from diverse data platforms into Hadoop platform. Understanding the requirements of input to output transformations. Hadoop developers spend lot of time in cleaning data as per business requirements using streaming API’s or user defined functions. Managing Hadoop jobs using scheduler. Reviewing and managing hadoop log files. Assess the quality of datasets for a hadoop data lake. 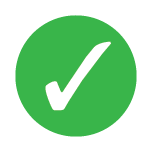 Maintain the privacy and security of hadoop clusters. Fine tune hadoop applications for high performance and throughput. Troubleshoot and debug any hadoop ecosystem run time issues. Now since you know what the job responsibilities of a Hadoop developer are, it is the time to hone the right skills and become one. The most obvious, knowledge of hadoop ecosystem and its components –HBase, Pig, Hive, Sqoop, Flume, Oozie, etc. Know-how on the java essentials for hadoop. Knowledge of scripting languages like Python or Perl. Good knowledge of concurrency and multi-threading concepts. Understanding the usage of various data visualizations tools like Tableau, Qlikview, etc. Should have basic knowledge of SQL, database structures, principles, and theories. Basic knowledge of popular ETL tools like Pentaho, Informatica, Talend, etc. 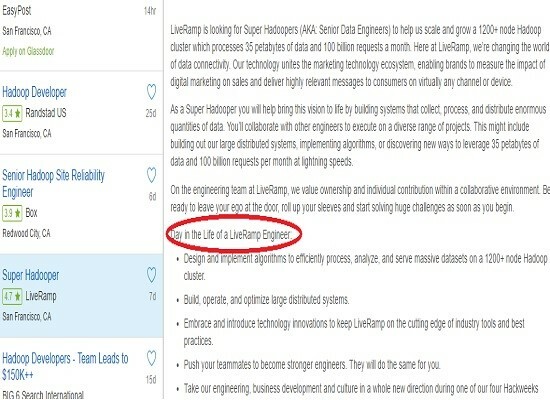 From the above two job descriptions for hadoop developer, it is clearly evident that the job responsibilities vary based on the organizational requirements and the project needs. The first hadoop developer job highlights implementing algorithms and working with a large distributed systems as a primary responsibility whereas the second hadoop developer job posting is more focused on ETL and database development. Do you have any advice for professionals who want to become a hadoop developer? The career path to become a hadoop developer is not a walk in the park. Professionals have to learn Hadoop and about the various components in the hadoop ecosystem, learn basics of Linux, learn java essentials for hadoop, and most important – gain hands-on project experience on working with hadoop. This takes effort, time and investment but what you treasure at the end of this journey is quite rewarding. There are many resources you might useful for learning Hadoop – blogs, tutorials, and online hadoop training. 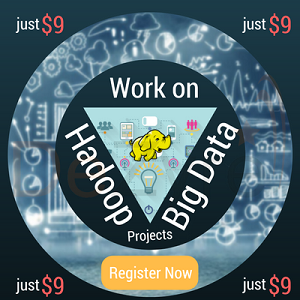 If you already know Hadoop then a great way to get started on real world data problems is to enrol for hadoop hackathons. If you enrol for a Hackerday with a peer or friend, it is twice the fun to learn. Q: We would love to hear about the experiences of Hadoop developers out there. What does you day-to-day job involve? Q: Do you have any advice for professionals who want to become a hadoop developer?